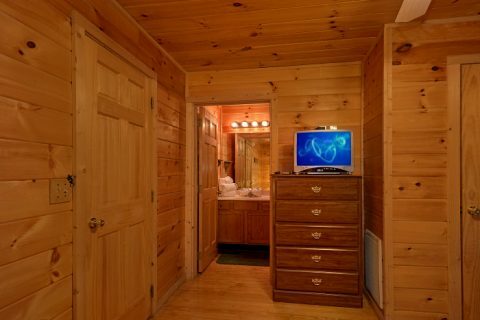 The Smoky Mountains are perfect for romance, so why not share them with someone truly special? 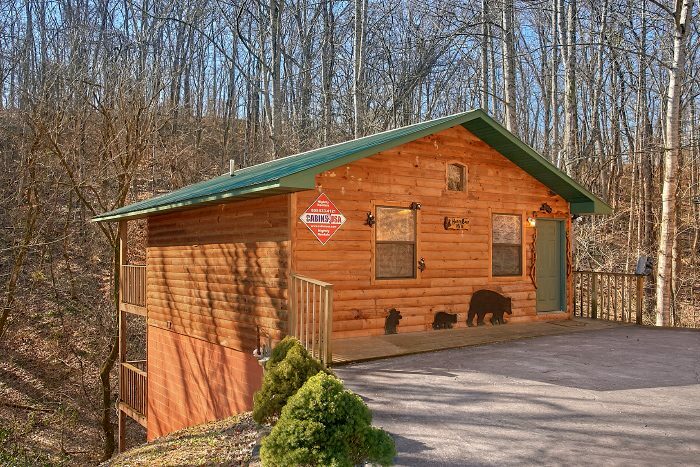 You can do exactly that by booking "Honey Bear Hill," a 2-bedroom honeymoon cabin near Pigeon Forge, TN! 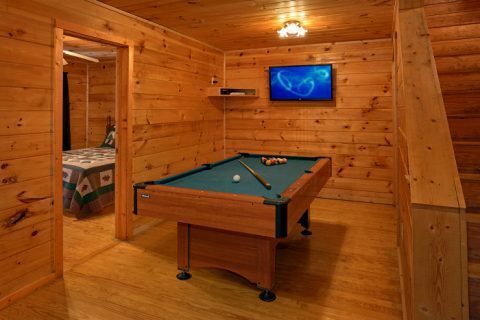 With room for up to 4 guests, this cabin is also just the right size for a small family vacation or a fun getaway with friends. 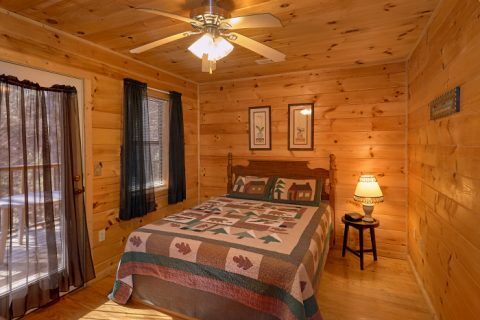 On the first day of your vacation, you can wake refreshed from this rental's king bedroom, queen bedroom, or the comfortable futon. 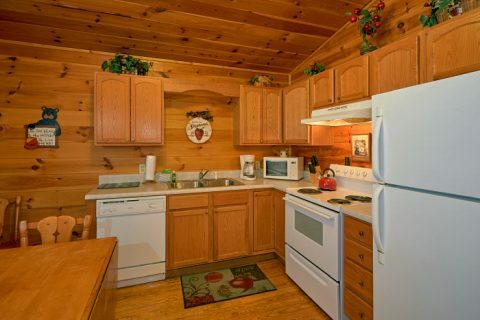 Enjoy a hot breakfast fresh from your cabin's full kitchen. 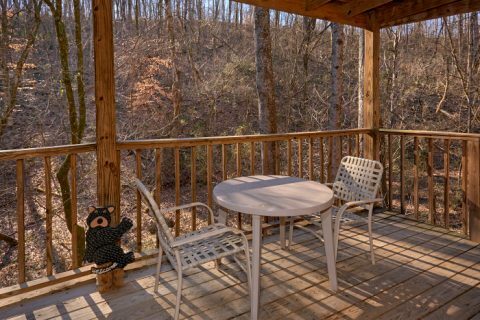 Gather around the dining room table for a delicious meal or you can enjoy your coffee on your cabin's deck surrounded by the trees. 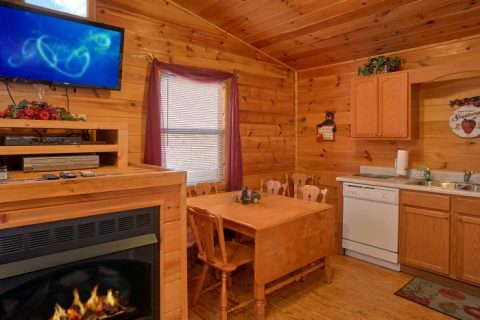 With your rental's WiFi Internet access, you can easily research and plan out an exciting day in the Smokies! Will you ride thrilling coasters at Dollywood? See a fun dinner show in Pigeon Forge? 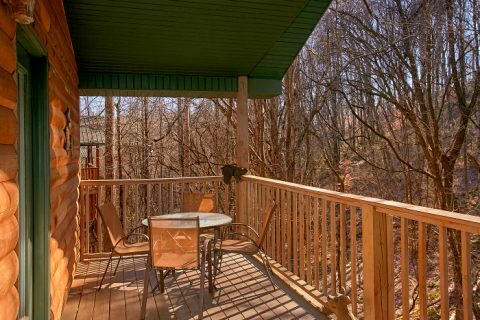 Stroll through the charming streets of Gatlinburg? 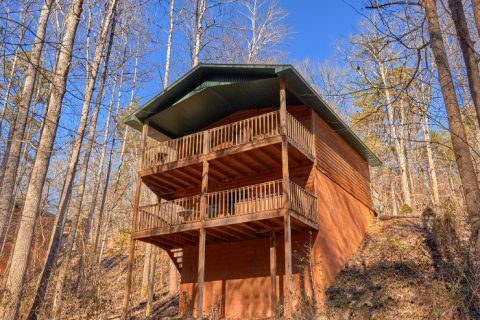 Hike gorgeous trails in the Great Smoky Mountains National Park? It's all up to you. 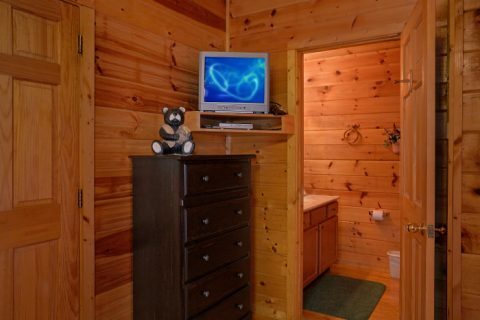 Whatever you choose to do for fun on your vacation, you'll love retiring to this cozy cabin at the end of a long day. 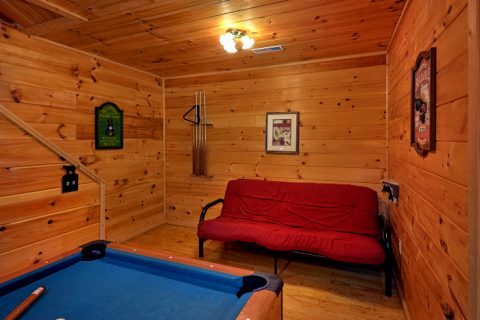 Unwind with some friendly competition on the pool table in the game room. 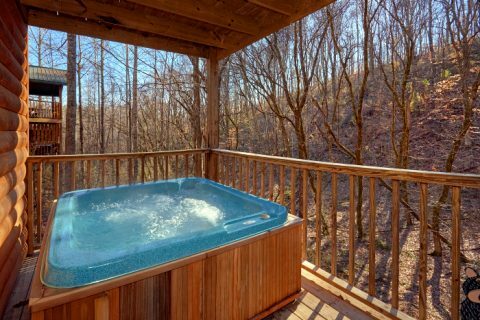 Kick back in the steamy waters of this rental's year-round hot tub. 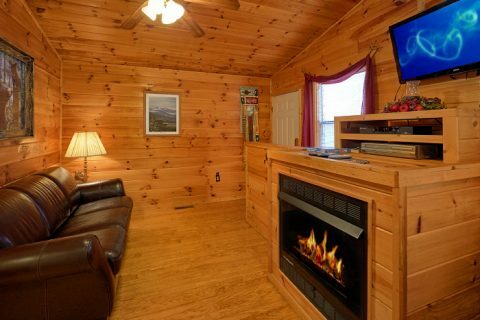 Or simply enjoy a fun movie night in your cabin's living room with the flat-screen television, the toasty gas fireplace, and comfortable leather furnishings. 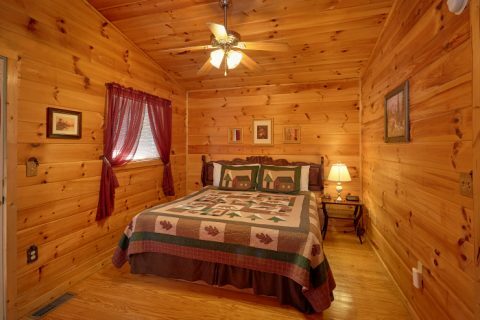 Bring someone special or your whole family to this cozy two-bedroom log cabin in the mountains! It boasts a prime location near some of the top local attractions and comes with a special discount courtesy of Cabins USA Gatlinburg!